After Ty Madden allowed one earned run in 3.1 innings of work, four Longhorn relievers combined for 5.2 innings of one-hit, shutout baseball. 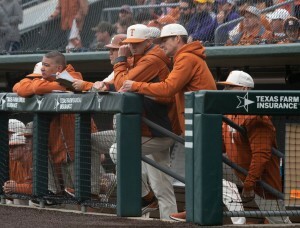 Texas scored one run on three separate occasions, but the 3-1 final was never in jeopardy thanks to the pitching effort. After outings in midweek games from Madden and from other non-weekend relievers that were not as successful as Tuesday’s matchup with Rice, Pierce was pleased with what he saw from Tristan Stevens, winning pitcher Matteo Bocchi, Brandon Ivey, and Donny Diaz in a relief effort that notched a save. Those relievers did well to pick up Madden, who after three uneventful innings put two runners in scoring position for Stevens to take care of. He did with back-to-back strikeouts, an effort that led to Pierce calling Stevens the pitcher of the night. 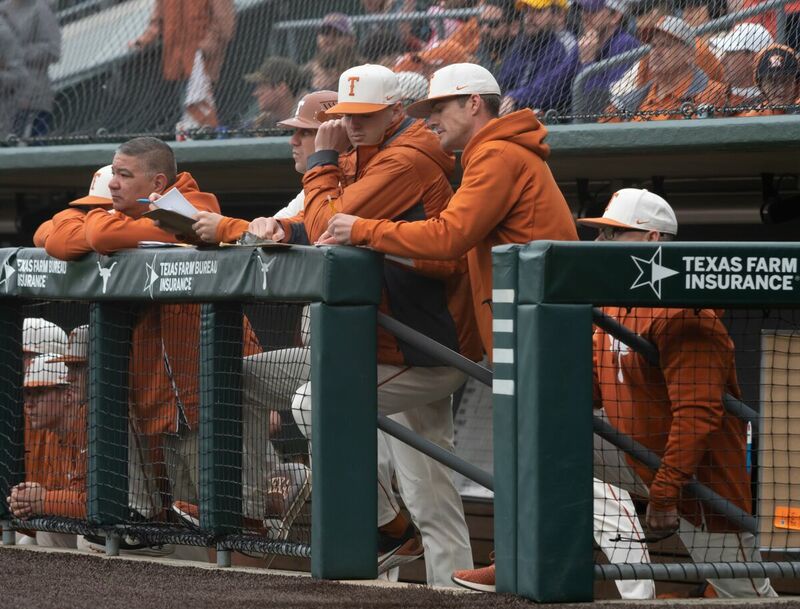 Texas pitchers issued only two walks all evening and struck out nine. Stevens, Bocchi, and Ivey were perfect save for one batter Bocchi plunked in the seventh. Pierce was asked after the game what he looks for in his relievers in the midweek. He responded he wants to see performances. Madden took a line drive off the thumb of his glove in the second but remained in the game until he ran into trouble in the fourth. During his performance, Madden’s velocity appeared closer to the mid-90s numbers he had prior to his shoulder problems. When Pierce noticed Madden was leaving pitches up and wasn’t consistent with his breaking ball, he saw the need for a change. He made the call to Stevens, whose success is creating more and more appearances. Bocchi then showed a mastery of his sidearm motion at a level he hadn’t displayed all year. Pierce praised Bocchi’s slider and fastball movement against Owl hitters. Following Bocchi, Ivey worked a quick 0.2 innings before Diaz shut the door on the final four outs. 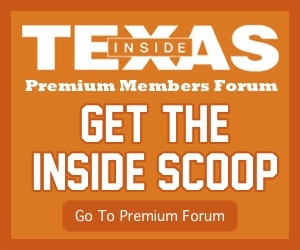 Texas’ offensive output was one run from an Austin Todd RBI single in the first, one run from a Lance Ford RBI single in the third, and one run that crossed during a double play off Todd’s bat in the sixth. Along with the pitching, that was more than enough to counteract a Rice RBI single in the third.